Carlos Ghosn, Nissan and Renault CEO, was present at the 2016 NYIAS sharing his thoughts on electric cars and autonomous driving. Above is the first of three videos, which centers on the general introduction presentation (EV discussion begins at 6:30). Ghosn noted that the Renault-Nissan Alliance is leading the industry with more than 300,000 EVs sold globally, and that Nissan LEAF is the best selling pure electric model with over 200,000 sales. By 2020 Nissan intends to introduce also 10 models with "significant Autonomous Drive functionality" and we believe that includes autonomous LEAFs, which are often used as development prototypes. But beyond environmental regulation, EVs just make sense. We have already seen within the Alliance how the cost of EVs continues to go down as their economies of scale begin to inch closer to those enjoyed by the internal combustion engine. EVs are also relatively simple machines: A battery and electric motors. They require far less service, no oil changes and they are extremely reliable. With battery technology improving and the charging infrastructure expanding in much of the world, we are nearing the turning point where EVs will become more of a mainstream option. There's been another important change since I last spoke here: In 2012, no one was talking about Autonomous Drive vehicles. In January, I visited Nissan's Silicon Valley R&D offices in California. I spent considerable time driving around the streets of Sunnyvale – hands-free and with my eyes off the road. Autonomous Drive cars that can change lanes on their own, negotiate city streets and handle the drudgery of stop-and-go traffic are coming soon. In fact, the Renault-Nissan Alliance will launch at least 10 models with significant Autonomous Drive functionality by 2020. Those cars will be far more connected than those on the road today. They will be a much more personal space, an extension of ourselves – just as smartphones are today. And the EV is the perfect platform for the future of Autonomous Drive and connected vehicle technology, which will, in turn, help accelerate the adoption of EVs. The trend toward more connected cars is also critical to meet the expectations of our future buyers, those who are just getting their driver's licenses today. The benefits of highly connected, Autonomous Drive cars are clear: They hold the promise of making driving far safer, less stressful, more efficient and more rewarding. And as we did with our EVs, Nissan and the Alliance will aim these future cars at the heart of the mass market – in line with our drive toward "Mobility for All." 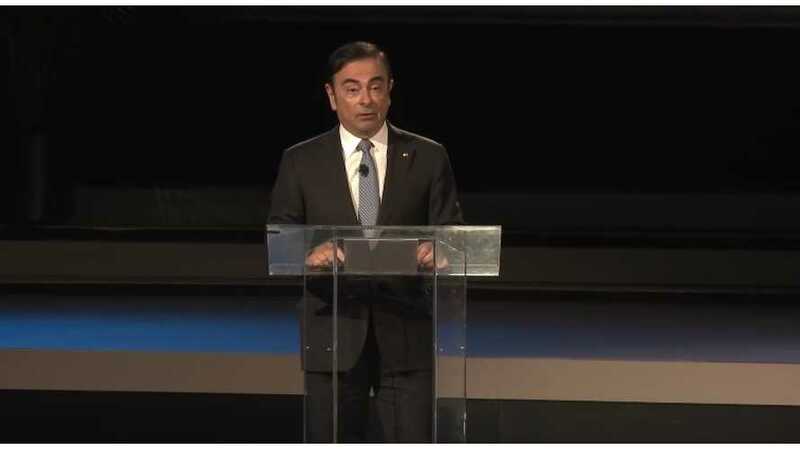 In the Q&A Opening Breakfast (video above: from 9:30 to 13:50), Ghosn said that in his opinion, electric cars are the only existing technology to reach emission targets, and he believes in the mass electrification as the only viable solution. Of interest is also his comments on hydrogen fuel cell cars (13:00), which are "another option" to battery electric vehicles. Ghosn said that if we think we have problem with charging infrastructure for EVs (thousands of charging points that are still not enough), just imagine problems with the hydrogen infrastructure with maybe just 10-15 refueling stations in operation today the U.S. In the media roundtable session, questions about the electric Infiniti returned (10:30), and the answer is that Nissan-Renault are focusing on the mass market. No high-end EVs in near term it seems. So we can finally cross the premium LEAF Infiniti LE off the list? Ghosn hinted although at an electrified crossover. 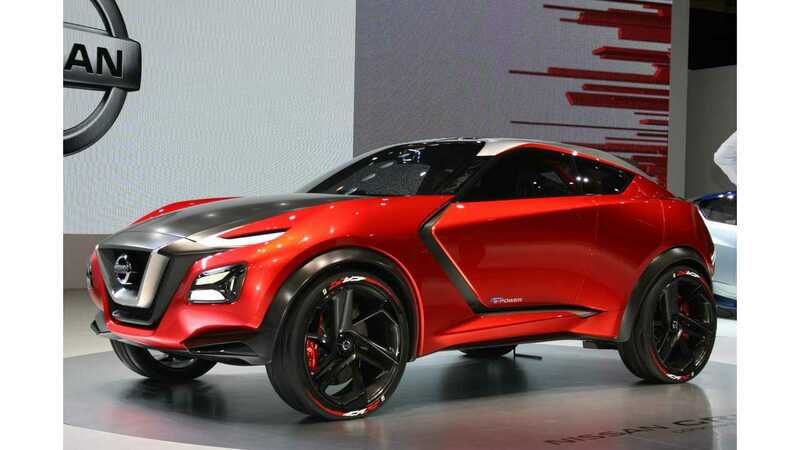 We'd bet on a plug-in hybrid crossover as Nissan has been showing off product like the Gripz concept of late. Around 13:00 Carlos Ghosn admitted that Nissan probably underestimated the reluctance of consumers to switch to the electric cars, but points to the insufficient charging infrastrucutre environment. The prices of BEVs also still need to be lower (mainly through lower cost batteries). At 26:30 Ghosn discussed was very interesting topic of LEAF residual value, while at the 33:00 mark it is noted that there no plans to bring EVs to the oil center of the world - the Middle East.